Ryan prepares to blow out the candles on his cake. You’re a parent. Maybe you have a child on autism spectrum or with other special needs. Maybe you don’t. Do you smile and think of your kid surrounded by friends for a few hours on a weekend afternoon? Do you think something in-between? Maybe you once thought one way, but now you think the other. One of the first autism blog posts I ever read was about a disastrous birthday party. 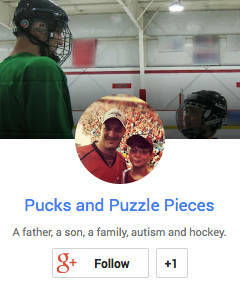 It was one of the “In Their Own Words” features on the Autism Speaks site. This had to be at least six years ago. The author was Jess of A Diary of a Mom. I read it and nodded, the feelings familiar. None of Ryan’s parties had gone south quite like the one she described, but it recalled for me the feeling of dread that used to go with either hosting such a party or taking Ryan to one. Would he interact with the other kids? Would he want to go off by himself? Would he want them to leave? As time passed, Ryan still wanted to invite his full school class to parties a couple of years after the boys no longer did that. It forced us to get creative. It led to some amazing adventures in place of traditional parties. Then last year, he wanted to have friends and family over once again. The highlight of the party was to be a backyard game of street hockey. He planned for it carefully, considering the teams and the rules. All the kids, and even some of the adults, took part. Nobody suffered anything other than minor injuries. The party was a rousing success. This year, he wanted a reprise. 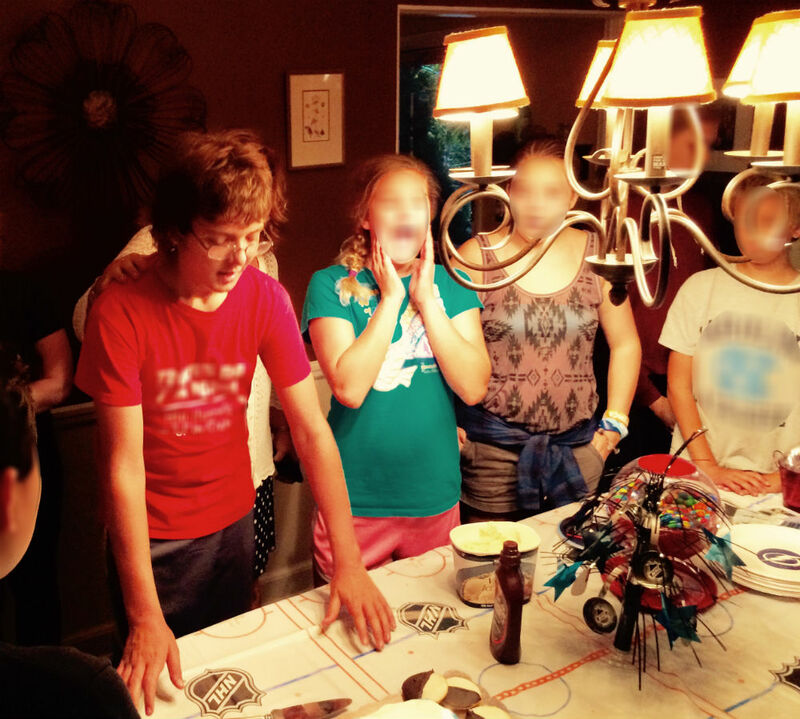 He carefully selected a few friends that all like hockey. All were able to attend. Pizza was ordered. Hockey-themed plates and napkins were set out. The boys showed up. The neighbors showed up. The cousins showed up. And about 4:30 on Saturday afternoon I refereed a rousing 3-on-3 backyard street hockey game, boys vs. girls. The boys required no intervention from adults. They all stayed until the evening, handing a great time shooting on Ryan’s new backyard net, eating pizza, cake and ice cream, playing air hockey, etc. Saying goodnight to Ryan that night, he summed up the day for us. I couldn’t agree more. And when I think of “birthday parties” from here on out, I will think only of this one, and of Ryan’s summary of it.